Allie Potts, born in Rochester Minnesota sometime between Generation X and Generation Y was moved to North Carolina at a very early age by parents eager to escape to a more forgiving climate. She has since, continued to call North Carolina home, settling in Raleigh in 1998 halfway between the mountains and the sea. She and her husband of ten years, both graduates of North Carolina State University and parents of two small boys, took on the risk of launching a small business before the height of the Great Recession, an experience that continues to be both rewarding and terrifying. 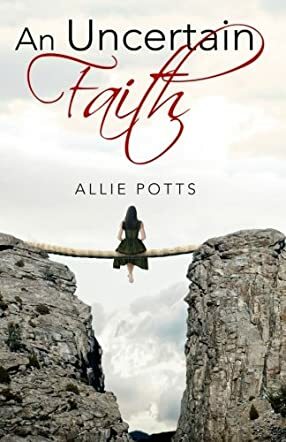 In An Uncertain Faith, Allie Potts has given us a story of courage, of faith tested to core, and of undisputed conviction. It’s a wonderfully well-written book and I thoroughly enjoyed it. This was one of those books that I promised myself I would put down when I had finished the chapter I was reading but, instead, found myself continuing to read well into the night! Wonderful storyline, the whole book flows naturally and readers will enjoy the many clues that Charlotte turns up in her bid to find her husband and child before it is too late.